So often when bloggers post of something they have made (be it something cooked or crafted) we readers get to see the successful finished product. We may hear about the failed attempts but ultimately we see a successful finished product. Well today I am going to let you guys see my failure. I will admit the actual finished product does not have pictures, because I was so disgusted that I threw it away without taking the last shot. What did I fail at you are wondering? Remember my talk of the Pumpernickel Raisin bread that I promised a post on the other day? There’s my failure. The soup was a success and I will tell you about that…but we ended up having peanut butter sandwiches on whole grain bread instead of wonderful brown bread slathered in butter. So I will tell you the tale of the pumpernickel failure. My love of this particular bread came from a recent trip to Wildfire Restaurant in Chicago when we were there for Spring Break a couple weeks ago. This wasn’t my first time eating at this restaurant (the salmon is awesome), but this time the bread was so delicious that I decided it was something that I had to have at home. I have a fondness for rye and pumpernickel bread anyway, so why not make it at home. I came home and began enthusiastically researching the web and cook books for the perfect recipe. I learned that pumpernickel is rye bread that has the addition of molasses and coffee. I finally found two recipes that seemed promising. Each had some things that the other missed so why not combine the best of each and come up with my own recipe for perfection? 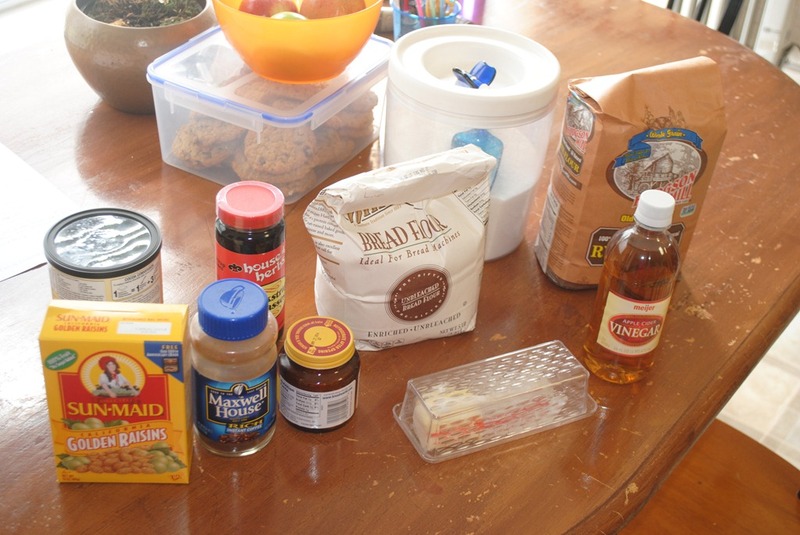 Below is a shot of the ingredients that participated in this fail. 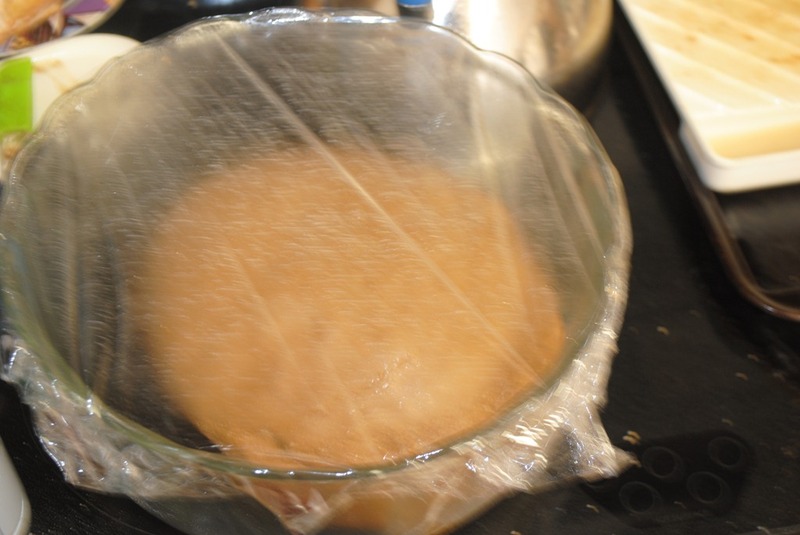 I mixed my yeast with sugar and warm water and let proof for 10 minutes. 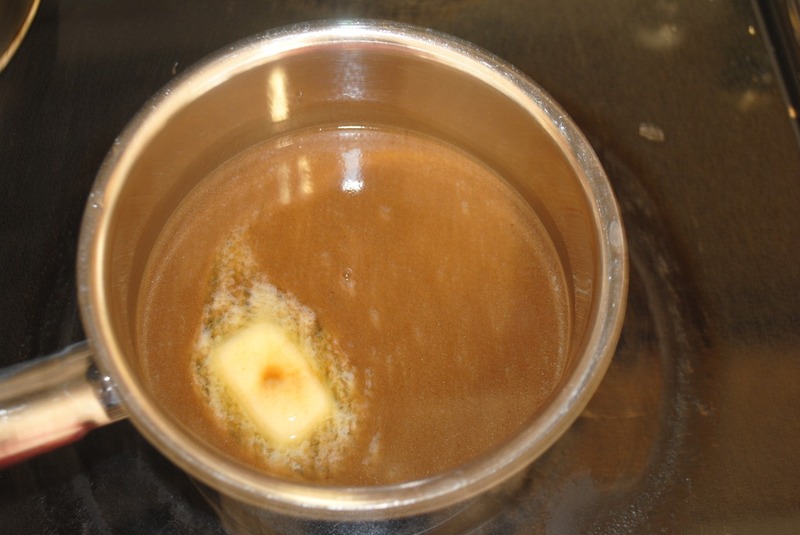 While this was proofing I combined the molasses, vinegar, another 2 cups of water, butter and unsweetened cocoa powder and let them warm on low until the butter melted. I also combined the rye and bread flour together whisking to add more air (hoping to keep my bread as light as possible). 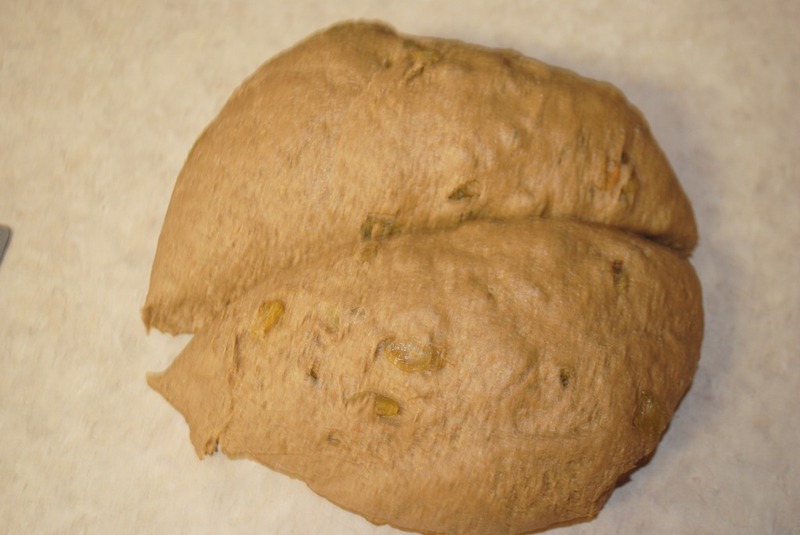 I combined all the ingredients with the exception of the raisins and kneaded it for 8 mins. 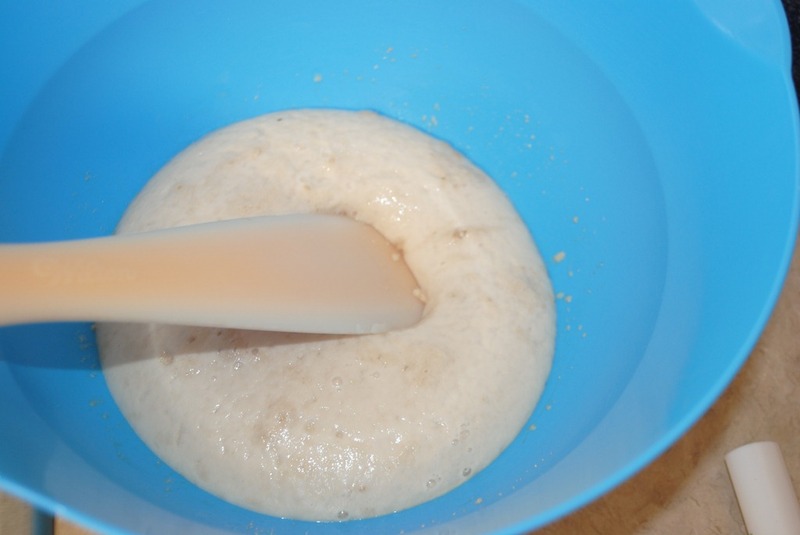 (this is my standard kneading time when making bread. I watch TV or talk to whomever I’m on the phone with until the timer goes off, it’s very therapeutic). I then covered it with plastic wrap and let it proof. After about 1 1/2 hours I punched it down and let it rise again for 45 minutes. 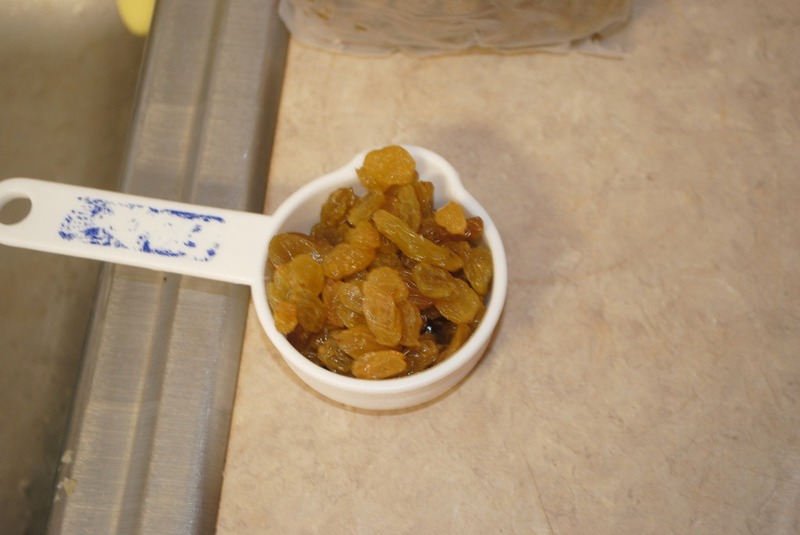 After that time I punched down again and kneaded in my raisins for a few minutes. I added a half cup total; 1/4 cup at a time. I divided the dough into two halves to round loaves. 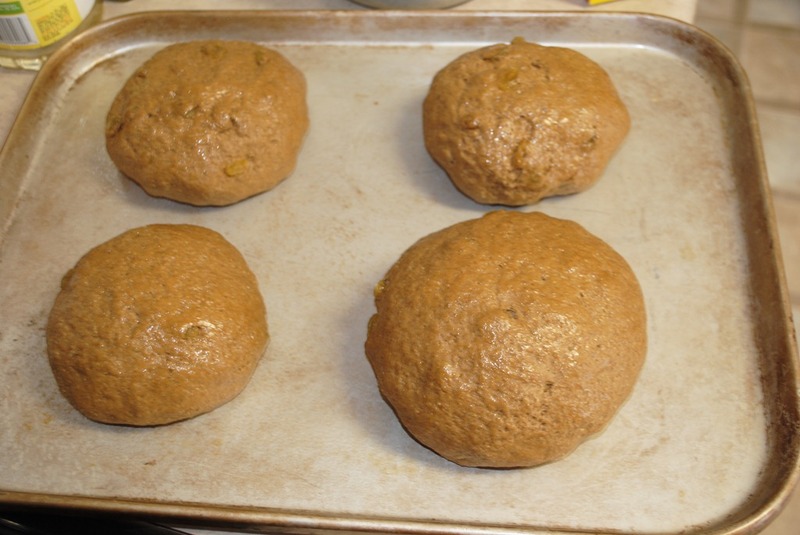 After I looked at the size of my loaves I decided to make four instead of two. I let them rise again while I went to get the Babydoll from school. This is where I noticed things were going horribly wrong and all of the jolly picture taking stopped. 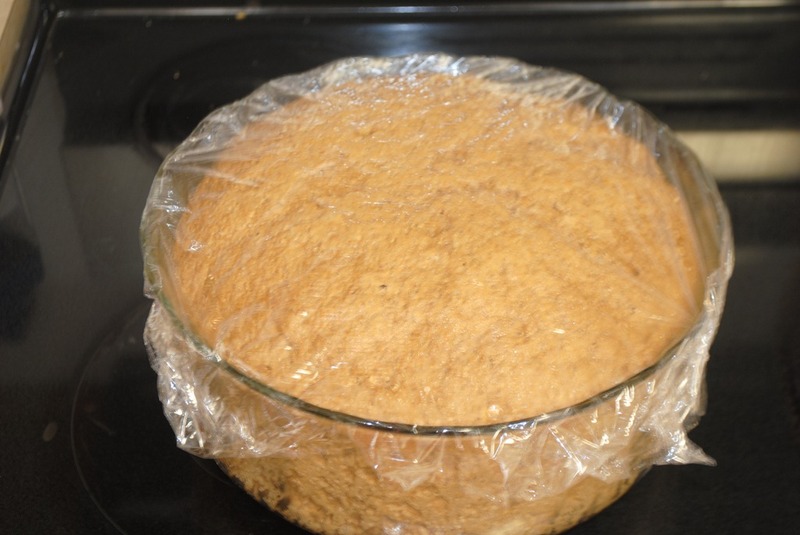 One of my mistakes was placing plastic wrap over the loaves to let them rise. This did not give them room to rise up and so they ended up rising out, becoming the size of10” plates. But I pressed on because I just knew they would be awesome tasting. I have made many things that didn’t look too great but boy did they make up for it in flavor. That was not the case on this day. After baking for 30 minutes at 375; I took them out and slathered the tops with butter. I should have known that something was wrong when they did not have the rich dark color of the bread at Wildfire. But again I pressed on…I sliced it up and slathered on more butter and took a bite. It was not the same bread that I had at Wildfire. It was not like any pumpernickel that I have ever had. It was horrible. The taste of the coffee (I am not a coffee drinker ever.) was so strong it seemed to take over. I didn’t have the sweet yeasty taste of fresh bread that I normally have with my bread. It was not good at all. The only good thing about it was the areas around the raisins. They made the bread a little better…but only if a raisin was around. So what have I learned from this failure? The first big thing is to omit the coffee. The flavor of the coffee was way too over-powering in the bread and I never noticed that taste in all of the pumpernickel that I have eaten…so NO COFFEE. There also seemed to be a sweetness to the bread that I did not notice with this bread. Did this come from the molasses or the chocolate? I’m not sure but I am willing to take any and all thoughts on this. Also the color on this bread was not the rich dark brown color that you see with pumpernickel. My bread was more of a light mocha color…I need black coffee color. Again is this due to the molasses or the chocolate? I am still investing this as well. Finally, I need to pay better attention when I’m taking pictures. It may have been due to me trying to take shots while working with bread ingredients, but some of these shots are not to clearly focused. 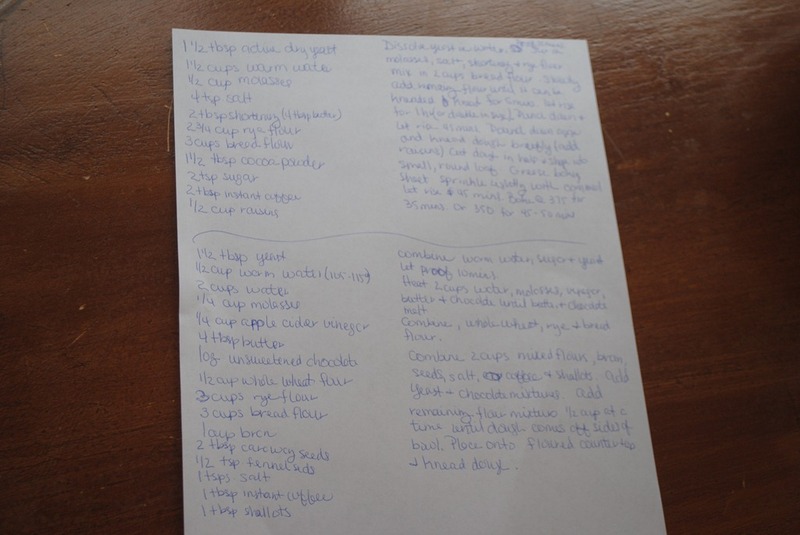 Anyway…I’m still researching for the right recipe and I will probably make another attempt on this upcoming Monday. Wish me luck and if you have ANY suggestions do not hesitate to pass them along. Are there any “fails” that you would like to share?